Information Badminton is one of the world's fastest racquet sports, requiring quick reflexes and superb conditioning. In a badminton smash, the shuttle has been timed at speeds over 200 m.p.h. in top international competition. Badminton is a highly aerobic and anaerobic sport which can be played throughout one's lifetime. In a typical two-game match, a player runs approximately 1.6KM or 1 Mile. 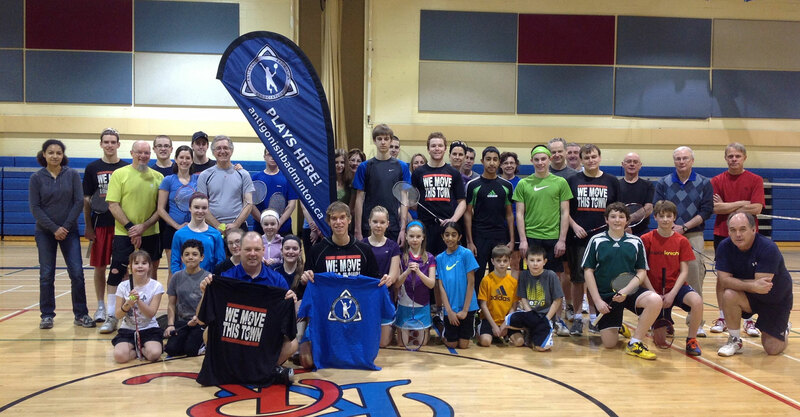 Antigonish Badminton is committed to promoting and engaging the Antigonish community to be more physically and socially active through the sport of Badminton.